Pumara yu' manainaitai put i inadiskuti put "Health Care" giya i Estados Unidos. Para Guahu esta gof na'o'sun, sa' hunggan guaha dos na banda gi este na inadiskuti lao ti chumilong i dos banda. Unu na banda ha kuentusisiyi i meggaina na taotao gi i nasion, i otro banda ha kuentusisiyi un dikike' na patte yan didide' na pinat manakhilo' na taotao. Lao giya Guahan, sa' achokka' chechetton iya Guahan gi i Estados Unidos, ti mismo un kabales na patte i isla-ta, este na inadiskuti taibali. I fina'tinas i Federalas ha afefekta hit, ha hohokse' hit maskeseha ti ta aprepreba hafa ma fa'titinas. Taigue i magahet na bos-ta gi i diniskuti yan gi i fina'lai. Lao ya-hu este na video ginnen John Green. Malate' gui'. Ti ha na'lebok i kuentos, ha kena'klaru. Ya i atmas-na inestudia yan ti puniyon na fakto. Senator Tommy Morrison recently introduced Bill 238, which would reinstate Discovery Day as a local Government of Guam holiday. For those who aren’t familiar with the Discovery Day festivities, its highlight is a reenactment of the arrival of Ferdinand Magellan in order to commemorate the “discovery” of Guam in 1521. If you have not been to a Discovery Day before I suggest you go just to witness the surreal nature of this reenactment where Chamorro huts are burnt and Chamorros are killed by a guy in Spanish armor who usually arrives in Umatac Bay via a motorboat. 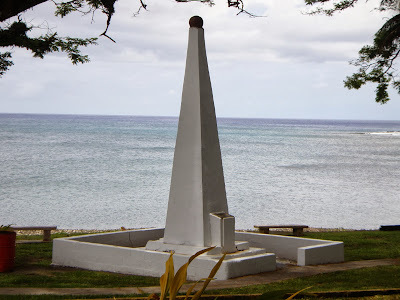 Morison’s bill does not state that we should reinstate the holiday as a celebration of Magellan, but more so as a venue for the celebration of Chamorro culture, heritage and history. As the community discusses this possibility and await a public hearing on the bill, I thought it might be good to recall the history of Magellan’s short, but memorable visit to Guam. My grandfather has a memory that would put elephants to shame. I imagine that he must have spent his youth eating elephant brains in order to develop his uncanny ability to remember what seems like every negative thing that has happened in his life. Good things fade and fizzle in his mind, they drip down his frame and never sink in, but a mistake, a slight, an insult, a lie, when someone has wronged him, those things become etched in his mind. My grandmother would cut out anything in the newspapers related to Chamorro language. 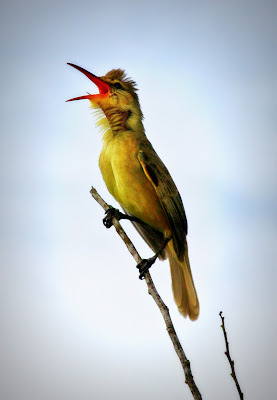 She gave me several reasons over the years for why she did this (other than her being a hoarder/collector), but once she said to me, that she was worried that the language would disappear from this island just as the songs of our birds had. This statement struck me because I had grown up in an island where the only birds I’d seem to hear were planes and helicopters flying overhead. For most my age the lack of birds is a piece of Guam trivia, a metaphor to use to talk about how fragile the state of the Chamorro people, or how we should be vigilante about what comes into our community, or a footnote to discussing the brown tree snake issue. We Are Going to Wait for These People to Die"
My grandmother’s aunties were notorious in their day as “The De Leon Sisters” They were famous as teachers, nurses, opera singers and one of them even dated the boxer Jack Dempsey while he was on island. Grandma and her two sisters Ruth and Tonette became the next generation “De Leon Sisters.” Their mother would dress them in matching outfits and have them stroll around Hagatna. People would see them and remark that they were like ducks walking to the pond. The De Leon girls were known for being beautiful, but my grandmother, at least to me, always insisted that she was unattractive and ugly. She was a shy girl and was only asked to dance once at her school social events, although she was so nervous she was worried she would soak the hands of the boy she was dancing with. She said that people always talked about her sisters Ruth and Tonette as being beautiful, but didn’t feel like anyone saw her as beautiful. This week I will be writing daily lisayus in honor of my grandmother. She was not Catholic and neither am I, so these are meant to be expressions of my love for her and gratitude that I got to know her and learn from her. You cannot understand who my grandmother was without knowing her mother. 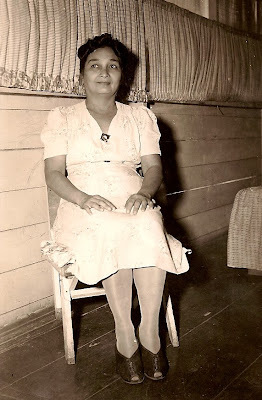 So many of the stories that I was told by my grandmother came from this woman, my great-grandmother Rita Pangelinan De Leon who married Guillermo Sablan Flores. My grandmother’s eyes would sparkle when she would share the stories of her mother’s life. For years she would narrate the story of her mother like it was a daily soap opera. The stories usually began with my great-great-great grandfather who was in charge of the kitchen in the Spanish Governor’s palace. --> Anai manmakolonisa hit gi fine’nina biahi, meggai giya Hita manohge para u fanmumu, ya maseha manmapede’ hit gi gera, gi minagahet sigi ha’ hit manresiste lao gi otro manera. I ine’son-ta nu i Espanot annok gi che’cho’ Juan Malo, gos petbetso kontra i Espanot. 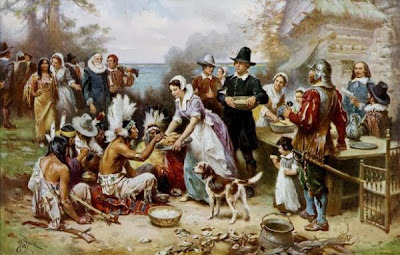 Sesso di ha usa i inutguyosu kontra siha. Sesso di ha fa’chada’ I Espanot yan ha fa’baba nu i salape’-niha. 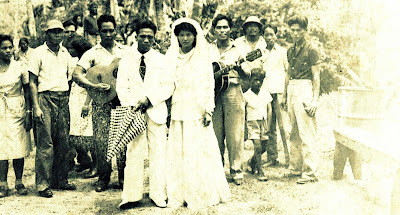 Gi duranten i 19th century, dos Chamorro, Si Jose Salas yan Si Luis Baza, mausa diferentes na manera para u ha tachuyi i direcho i taotao-ta. Si Baza matungo’ put anai ha konne’ i Gubietno Espanot para kotte put todu i malabida-na kontra i taotao-ta. Gi 1884 Si Jose Salas, un Chamorro gi i militat Espanot, mamuno’ Gubietno Espanot put i estao i taotao-ta. Este i kannai i dos ni' pumoksai yu. Para i manmofo'na na Chamorro siha, i kannai un gof impottante na simbolu put i guinaiya i saina-mu, ko'lo'lo'na i famalao'an na manaina-mu. Anggen matai un sen presisu yan ti tulaikayon na palao'an put hemplo Si Nana'-mu pat i Nanan Biha-mu, siempre para un chule' i te'lang i kannai-na. Para todu i manmatai un chule' i ha'i'guas, sa' ayu i ankla, ayu muna'chechetton i anten-niha para i tano' i familai. Lao para un sen mangge' na palao'an ni' gumu'ot yan fuma'maolek i meggai na patte gi i familia, i mas takhilo' na simbulo i tel'ang kannai. Imagine that you're a parent, teacher, or counselor who helped a promising student apply for financial aid. She's an underrepresented minority, so you encouraged her to apply to several scholarships for minority students. A few weeks later, she receives a wave of responses from them, all saying the same thing: She's not eligible to apply. Why? Because the colleges have misclassified her; even though she's an underrepresented minority student, they've decided to treat her as if she's not. Now imagine that instead of one student's being misclassified, this is happening to every student who belongs to one of the fastest-growing minority groups in America. Native Hawaiians and other Pacific Islanders don't need to imagine any of this. This is their reality. There is a family, mother, father and son. The mother is loving and caring while the father is angry and abusive. As the son grows older he comes to hate the dynamic in his family where his father is overbearing and monstrous and demeans and treats his mother (as well as the boy himself) terribly. He grows closer to his mother, loving her dearly and wishing that she could be spared this miserable life. He grows to hate his father. As soon as he is of age he moves out, unable to stand his father’s abuse any longer. From then on he tries to have as little contact with his home as possible. He still keeps in touch with his mother and wishes desperately she would leave her husband. In secret he hopes that his father’s anger will get the better of him and the world will be a better, more peaceful place if he would just pass away. Tonight the Chamorro Studies Program through the wonderful work of the Chamorro language instructors at UOG held Puengen Minagof Nochebuena, a night for celebrating Chamorro language and culture in the context of Christmas. The event was a great success, with over 250 community members showing up to see the bilens made by Chamorro classes, to sing along to Chamorro Christmas songs and to taste a dozen different kinds of bonelos. 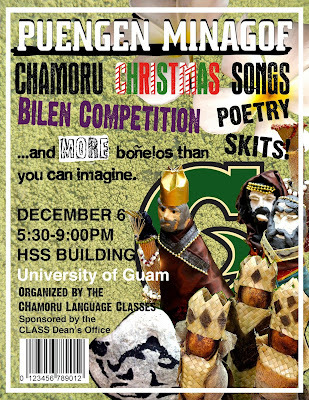 On December 6 from 5:30 pm – 9:00 pm, the University of Guam CHamoru language students will be hosting Puengen Minagof Nochebuena, in the Humanities and Social Sciences (HSS) Building. Puengen Minagof is an annual celebration of CHamoru language and culture organized by CHamoru language instructors at the University of Guam. CHamoru language students in classes ranging from beginner to advanced will performing in CHamoru Christmas themed activities. Students will perform a nativity play, recite slam poetry and will sing a variety of CHamoru Christmas carols. Refreshments will be available, most importantly boñelos. This Puengen Minagof will feature many types of boñelos that people may be familiar with, and many new flavors one might not expect. Chamorro Studies has only existed as a program for a short while, but its existence is questioned all the time. 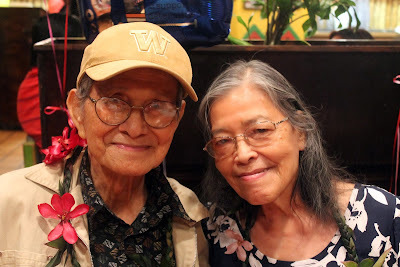 During the Chamorro Experience gi Fino' Chamorro lecture series one elderly Chamorro man asked me flat out, why people should learn to speak Chamorro when the language is clearly on its way out? During the Chamorro Studies launch event, a middle aged Chamorro women asked why a degree in Chamorro Studies should exist when it cannot help you in life. this despite the fact that she had just sat through a panel presentation explaining how it can help you through life. It is interesting because very few students have made these sorts of comments, in fact despite the short existence of the Chamorro Studies program it already has more than 20 majors and minors. On the launch event we held in October of this year, we signed up 7 majors and 7 minors in a single day.